On 11th April we finally receive our passports with the visa for Uzbekistan – about a week later than expected. So no problem, but the need to leave immediately towards Ukraine.Having some 5000km and 3 weeks to reach the Uzbek border within an hour our flat was prepared to be left alone for the next 3 months. For full details of our administrative delay click the button below. 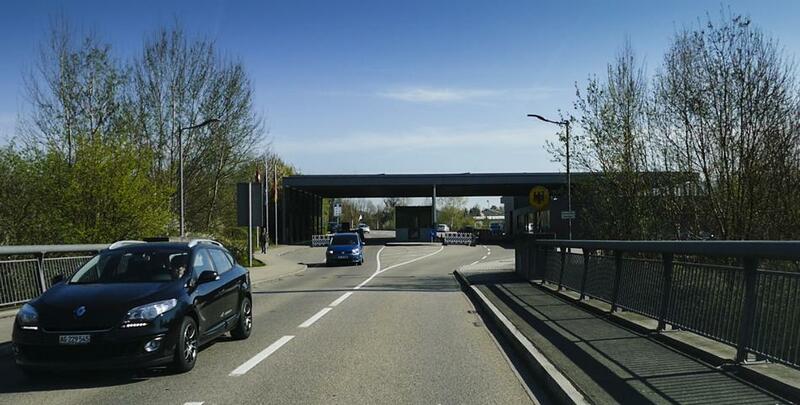 After a 5 minutes’ drive the 1st border: Germany. Quite easy – on both sides no customs officers. Today nobody cares about all these Swizzy guys buying cheap food stuff in Germany to secure their survival in exorbitant expensive Swizzyland. Then on to the north-east. Some 5h to reach Bamberg in the northern part of Bavaria. 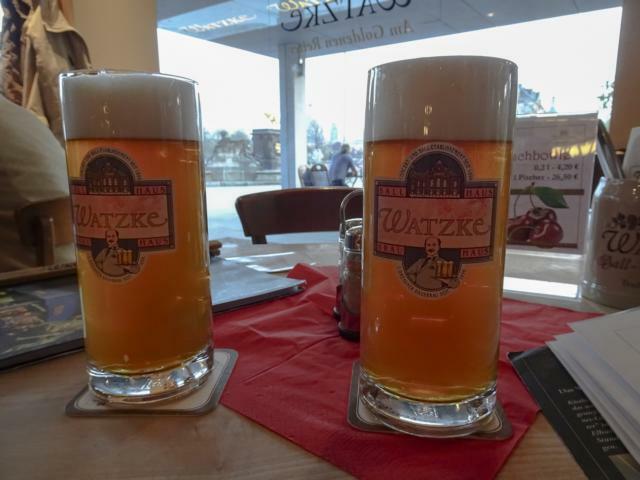 We find an accommodation with a secured parking for Prado, look at the old town and have a pristine Bavarian – Franconian dinner with a lot of beer. An elderly couple at the same table feels obliged to tell us the story of their life – so time passes quickly as well as the beer glasses drain in no time. The next morning on to Dresden. A long walk thru the town, looking at all the overburdened baroque architecture and, as a contrast, admiring the fading remains of the people’s own socialist architectural past as well as the odd Chinese tour groups on their selfie trip. The real surprise is definitely the evening in one of the micro-breweries: a couple of real Pale Ales – they couldn’t brew it any better in the Alaska Beer House in Anchorage. We will check it after our arrival there in the near future! After Dresden time to leave Germany. On to Poland. An hour to the border. We only state this due to the degradation of the highway. Nevertheless, probably the last border we can cross without any further bureaucratic highlights invented by all kind of authorities. … and finally a huge dinner: after all this Franconian and Saxon stuff we had the last days – definitely no Silesian fare. Nevertheless, Martin thinks of what must be the national stuff of Poland: Spaghetti Polonaise. Astonishingly we canot find it. 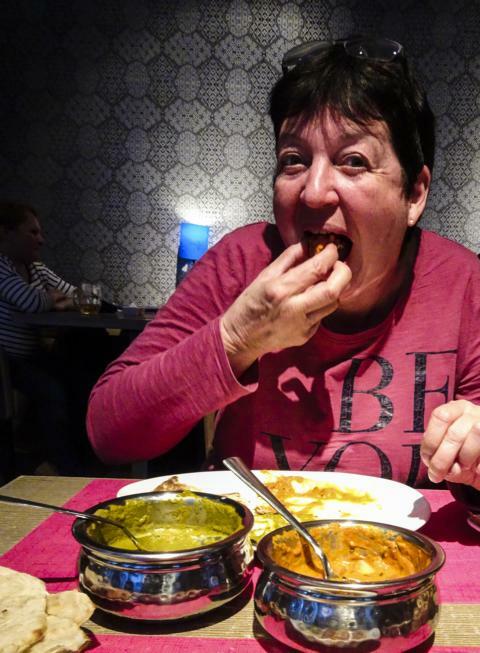 Finally, we simply go to an Indian – chicken curry and chapattis. 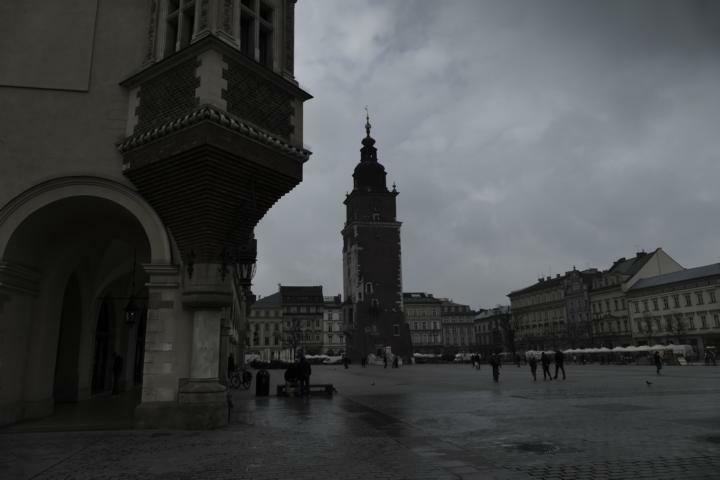 Then on to Krakau. The 1st day with terrible weather. Quite cool and rainy – better forget this day and wait for better weather. We have a quick look at the beautiful marketplace – rather a picture of lonely grey shades. Then we remember the famous coffee’n’beer houses in Krakau – and the late afternoon is saved. Later on an attempt to find spaghetti Polonaise. As recommended by a real connoisseur of the polish food scene we head for an Italian food supplier. 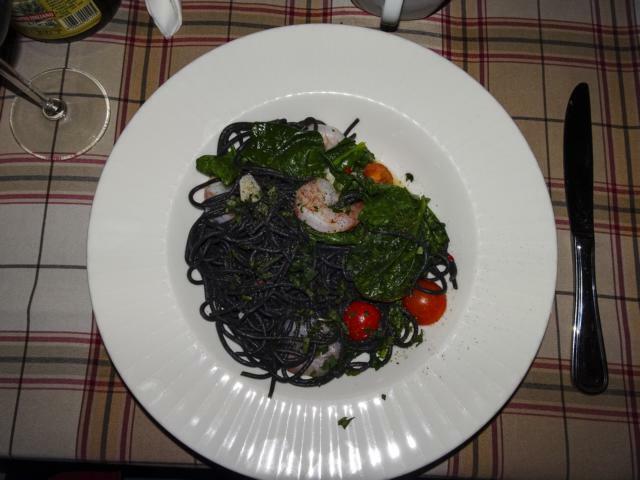 Probably there we find the nearest to spaghetti Polonaise – nevertheless we’re slightly astonished about the colour of this pasta stuff. Next day, other weather. Sunshine. So on we are, out to explore the town. We’re quite impressed about the town’s effort to ensure security for all. 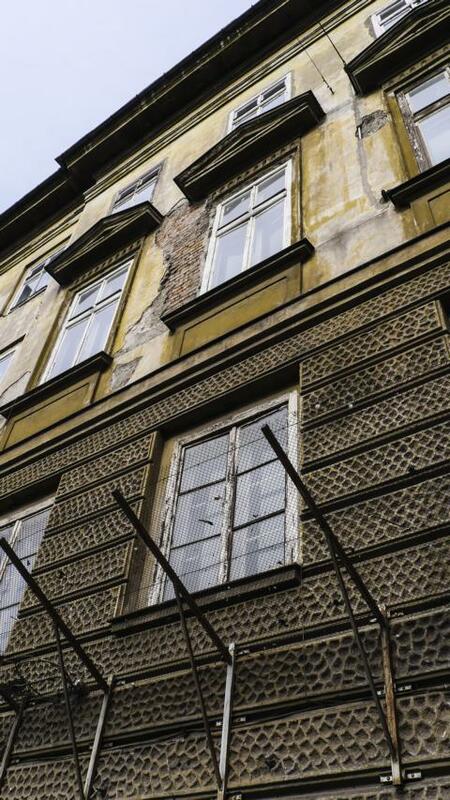 To protect them from the crumbling plaster of decaying buildings they even installed protective nets above the sidewalks. The marketplace, some churches, the king’s palace and finally Schindler’s factory. The last one by far the most interesting – except maybe the climb up the tower to the Sigismund bell, one of the largest bells in the world at the Wawel cathedral. Something definitely not for people with claustrophobia. After 4 days: heading out of Poland, out of the EU, and we’re on the way to the Ukraine. Landscape as usual in this area – flat and rather boring. 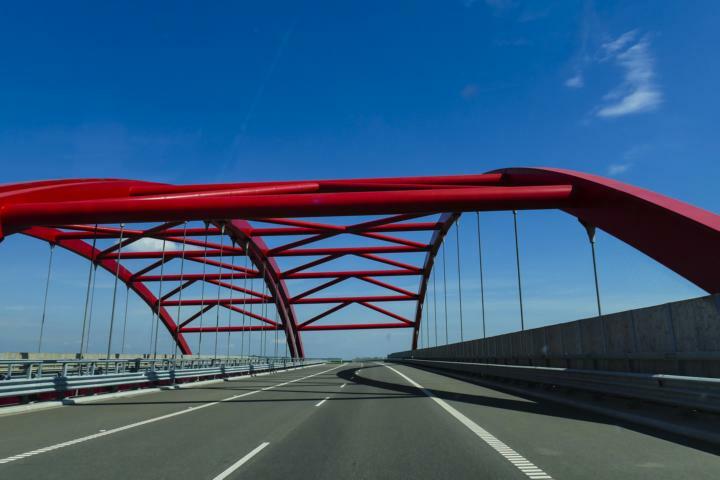 At least on the Polish side a brand new highway and the pinkest bridges seen ever. Then the border. As expected no longer just a drive thru affaire. On the Polish side they just check passports. Ukrainians want to impress us by the number of different government agencies they have – or maybe it’s just the competition among them. Maybe the winners may remain at this border post, the great looser is sent to the newly established border posts in Ukraine’s south-east. Anyhow, after having been controlled for exactly the same issues by a lady of the proud army, some customs guys (twice) and the passport control authorities (once) we were ready to continue – good opportunity for us to exercise Russian. But still not too bad, all together it took us approx. 1 hour. L’viv –still better known under its former name Lemberg. To start with – after some recommendations of locals it takes quite some time to find a decent, secured parking for Prado. But after that effort we discover a beautiful, very lively old town. Some interesting signs of fierce competition between the former Soviet imperialism and the nowadays American one. Many old rather decaying buildings and still the tramway running – built in a real people owned, Soviet state managed factory. After some sightseeing amidst hundreds of weekenders our first local beer and dinner. Next day some more sightseeing and a climb atop the town hall tower to admire the town in all its beauty. 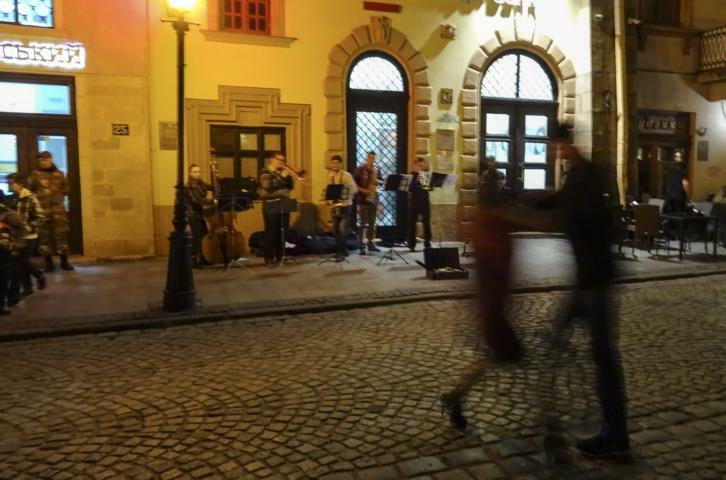 A look into L’viv’s nightlife – u think ur on a Piazza in Italy eating Pizza with Ruccola dreaming of some local politician’s Bunga Bunga Parties. 550km, 7h to Kiev, Ukraine’s proud capital. The landscape as usual – flat, rather boring, farm fields on the left, farm fields on the right, the road ahead. Weather – rather boring, grey. In Kiev we have no choice. 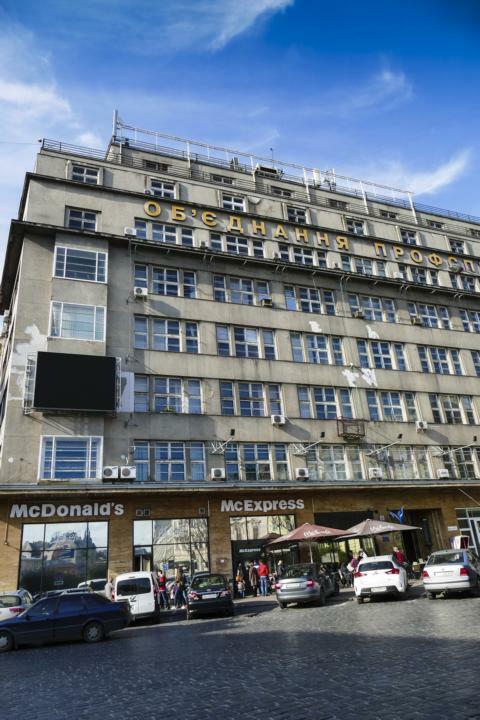 We must stay in the famous old Soviet hotel – the Ukraina. The hotel at absolutely the best location directly above the Maidan and for the reasonable prize in an astonishingly good condition. 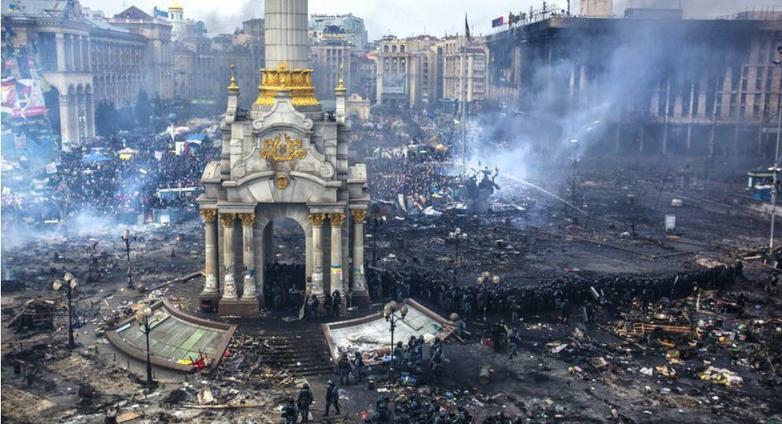 Nowadays looking at the Maidan it’s very difficult to imagine the situation some 2 years ago before fierce demonstrations sent the last government to nirvana. (pic by Andrey Stenin published in Sputnik). Kiev is a pretty big town. Some 5 million guys. 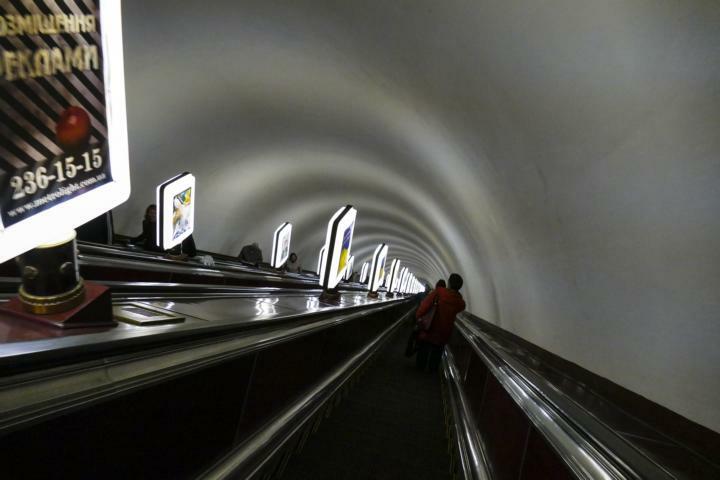 Fortunately they built a pretty efficient metro. The only disadvantage: due to the undulated terrain of the town you feel that you have to go down’n’up some 300m to reach the trains. … and quite an number of churches and old quarters with houses in desperate need of some basic repair. 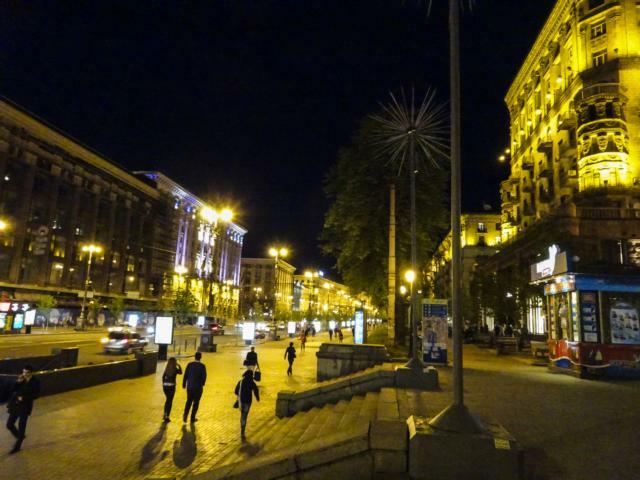 Despite all these sights and a McDonald’s Restaurant at every corner Kiev remains a town where the former Soviet lifestyle is still largely lived by many inhabitants. Maybe this combined with the problems in the south-east of the country leads to a rather depressing atmosphere and few places to get out of the daily routine.